This free to attend dialogue, hosted by the Irish Vape Vendors Association, will take place from 1400-1700, on Tuesday 24th October, at the O’Callaghan Davenport Hotel, 8-10 Merrion Street Lower, Dublin 2. Refreshments will be available from 1400 and also at the end of the event, to enable some informal discussion and networking. In an unprecedented attack, four leading researchers have called into question the scientific integrity of the 2016 Surgeon General’s report on e-cigarettes which was claimed to be highly misleading. They conclude that the report was based more on ideology than science and was not a fair representation of the evidence. The study by Professor Riccardo Polosa and colleagues was published today in the highly regarded Harm Reduction Journal. A new set of research priorities to support tobacco control will help ensure future research provides the greatest benefit to public health and value for money, according to an international group led by Oxford University researchers. The Ministry of Health says it considers a Philip Morris electronic “tobacco stick”, known as Heets, illegal – it is designed to heat up, but not burn, tobacco until it releases nicotine in a vapour. Researchers say that nicotine could be valuable in combating a condition known as late-life depression. Some older people with late-life depression (LLD) do not fully respond to antidepressant medication, and the authors of a new study say that “nicotinic acetylcholine receptor (nAChR) agonists” (including nicotine) may work as therapy for these individuals. E-cigarettes, despite their claims to getting smokers to quit, are not free of controversies. This is perhaps why Vape Expo India 2017 — an international exhibition on the electronic devices — has fallen foul of the authorities. First, Delhi government did not permit the organisers to hold the trade show in the capital. Now, the Greater Noida authorities have withdrawn the permission given to the exhibition at Indian Exposition Mart on September 9-10. Sources said the organisers will move Delhi high court on the issue. When San Francisco’s Board of Supervisors passed a ban on flavored e-liquid and small cigars, and menthol cigarettes, in June, they probably didn’t expect to put the law to a public referendum. But that’s exactly what’s going to happen. After a petition drive gathered over 34,000 signatures (only 20,000 were necessary) to challenge the new law, the board was forced to choose to repeal it or send it to San Francisco citizens for a vote. We’ve trawled the parties websites for their policies on Smokefree 2025. Where there is no mention, we’ve taken into account any media comments from leaders in the last few months. We have also contacted the parties for any more details on their positions so these may update. These are not comprehensive summaries of policy – but intended to give a snapshot of their support for Smokefree 2025 and ASH’s verdict on each parties policy commitments. On Tuesday night, City Council unanimously passed an ordinance that bans the use of electronic smoking devices, including e-cigarettes and vape pens, on all city-owned properties. Law Director Tom Kelly said the ban applies to both indoor and outdoor properties, which include City Hall, the North Royalton Family YMCA, nine baseball fields, five soccer fields, two basketball courts, three tennis courts and one skate park. New rules are coming into effect on October 1st to curb the use of e-cigarettes by minors.“Electronic cigarettes have been growing in popularity over the past number of years, particularly with youth and young adults. But, there is little conclusive evidence about the potential harm of long-term e-cigarette use,” says Health, Seniors and Active Living Minister Kelvin Goertzen. Where are the e-cigarette regulations? While the rest of the pro and anti-tobacco movements are arguing over whether or not to reintroduce packs of 10 cigarettes, could we perhaps ask where is the government in terms of the regulations for e-cigarettes? 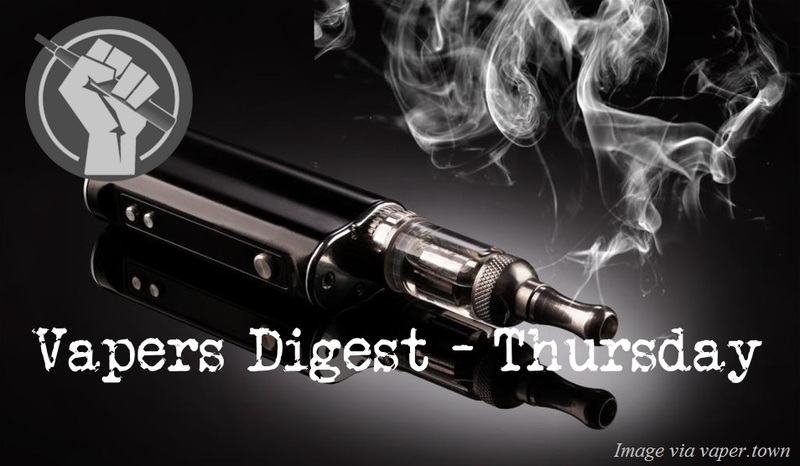 It has been a year with no update thus far on this matter, and perhaps, it is time to revisit the topic of harm reduction when it comes to nicotine consumption. Independent vape businesses are facing tough times, being squeezed between legislation and Big Tobacco muscling into the market. Also, fears are being expressed that laws could also keep smokers smoking – a situation not helped by some poor quality quit counselling. Discussion is taking place that some ban laws may themselves be illegal, and concerns are being expressed that insurance companies are unfairly penalising vapers. A recent study purports to have demonstrated that “Chronic electronic cigarette exposure in mice induces features of COPD in a nicotine-dependent manner”. I’ve spent half my working life arguing that many smokers enjoy smoking. Increasingly I’ve been made to feel a bit of a Luddite, even at tobacco conferences where all the talk is about harm reduction and non-combustible products like e-cigarettes. Silly season for science, too?